It’s difficult being a Clompkin in a field of pumpkins sometimes. The Festival Of Neggs is almost here! 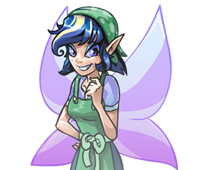 In this article, I have put together various Negg-themed customizations that will get your Neopets in the right mood for the festival, and that would make Kari the Negg Faerie herself proud. I have put particular emphasis on male Neopets in this article, as I feel they often get overlooked in customization guides and I want to show that your boys can rock a Negg-themed look. For a couple of the examples, I have provided a female version as well, so anyone can find inspiration in this article, whether your Neopets family is made of girls, boys or both. Live from the studio, it’s this week’s episode for The Neopian Times’ How To series! My name is Cae, and I’m excited to your host for the evening. Join me on a step-by-step adventure to learn how to write for the Neopian Times! Now, before we start, I have to say that I’m incredibly honored to be invited onto the How To series. For those of you tuning in, fret not – you are in good hands! I have quite the credentials speaking to this subject, with a whopping grand total of not one, but two Neopian Times stories published under my name! Have you spun a wheel today? What did you win? The wheels are a great way to have fun and, maybe, win a prize. For a usually small price, you can spin these wheels and land on any space to win - or lose. There are six neopoint wheels in Neopia, plus one neocash wheel, each with a different price point and risk margin. Some wheels can be spun once a day, others once every few hours or even minutes. The neopoint wheels are located in Faerieland, Brightvale, the Haunted Woods, Tyrannia (which has two wheels), and Qasala. It’s difficult being a Clompkin in a field of pumpkins sometimes. It’s not that Jack hates living and working in a pumpkin patch – far from it in fact. It’s undeniable however, that life would be a whole lot easier if he did not blend into the surroundings of his workplace so much. It’s bad enough that some of the other petpets at the pumpkin patch find it hard to differentiate him from the actual pumpkins that they were meant to pick. And that’s not even as bad as the traumatic experience that occurs every Halloween at the pumpkin patch. Jack still shudders at the memory of all those baby neopets and petpets grabbing at him, mistakenly thinking that he is a pumpkin. Sometimes Jack isn’t sure that winning games of hide and seek is worth the hassle of constantly being mistaken for a pumpkin. It’s not like he even looks that much like a pumpkin anyway! Sure his head is orange and shaped like a pumpkin but he is much better looking. Not to mention that he has legs and a face and is very capable of moving on his own thank you very much. Jack does not see the resemblance at all. “Oh woe the life of a Clompkin who works in a pumpkin patch - what a terrible life it can be,” Jack sighed as he leaned against a cart. “What’s the matter Jack?” Jack looked up to see Dimitris, or Tris as he told everyone to call him, the owner of the pumpkin patch, towering over him. Marna the Grarrl loved her position as court cook for the mostly grumpy King Skarl, but something was wrong of late. The King had not laughed for some time and was becoming more and more grumpy by the day if that was possible and the poor Meridell cleaners were being overworked with their more and more frequent trips to the Rubbish Dump. They were starting to grumble and complain about the smell they could not remove from their clothes and the fact the King himself did not even notice the stench! She had been with him ever since that chance meeting at the fancy Kelp restaurant when she had spilled her soup on him and said something witty that made him laugh. She remembered the long pause as he looked at his stately robe and the darkening stain that graced his collar. He had stared at it for a long while and then suddenly without warning let out a bellow of laughter that was strong and loud. It lasted for just a few seconds and stopped as quickly as it started but it was enough for the King to take an immediate liking to her. He hardly ever laughed so he hired her there and then mostly for the possible chuckle but also for a vacancy that had just so happened to become available that very day, court cook. It seems that that the previous cook had not given the King an accurate summary of what was in his casserole for lunch that day. The King hated any orange food and his lunch had carrots in it. The sound of butterfly wings fluttering through the wind echoes through the tribe. Past the woodland and through the bright, green trees lies a tribe full of the tiniest Kacheeks, dressed up as gnomes. They wear red, blue, green, all kind of colour hats. With hearts dedicated to their tribe, they swore to protect each other and any invasion that occurs. Trails of ants march through the tribe bringing back recourses and necessities back from their adventures. The Kacheeks protect all insects big and small. The leader is a special Kacheek, he is bright, witty and of course happy. He goes by the name Gedda HappyCheek. Gedda enjoys adventure, and of course protecting his tribe. He is a strong minded Yellow Kacheek with a red gnome hat. He has a beard that’s as white as an Abominable Snowman. He isn’t quite tall compared to the average Neopet but he is definitely the tallest out of his tribe. He has been the leader of this tribe for years and has enjoyed every minute of it. Today is a special but dangerous day for Gedda, as he has an important task awaiting him. “Gedda, when do we set out on the mission today?” Louie asks. Louie is Geddas reliable second in charge, he wears a yellow hat and has a smile you couldn’t forget. “We will set out soon, just finishing up some touches to the map, everything should be ready by noon” Gedda replies. Noon hits, and it’s time to set out. Uncover new Negg filled surprises each day! You don't understand, he has to be stopped! I have to stop him. Not All Weewoos work at the Neopian Times!